This small, elegant silver ewer is features the ‘coriander flower’ pattern occasionally employed in 19th century silverwork from Lucknow, combined with rococo elements. 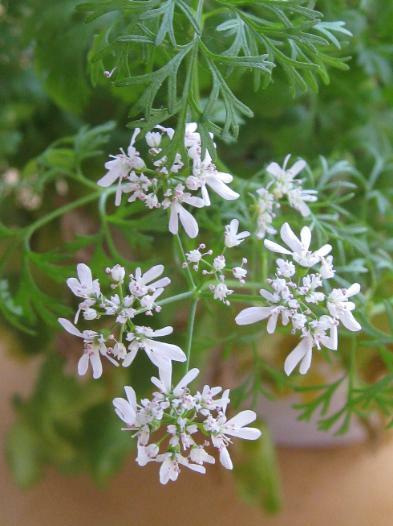 The coriander pattern is shown in a wide band, between tow bands of grapes and grape vines, on the globular body of the ewer, and on the stem. The collar of the ewer has been chased with a border of acanthas leaves. 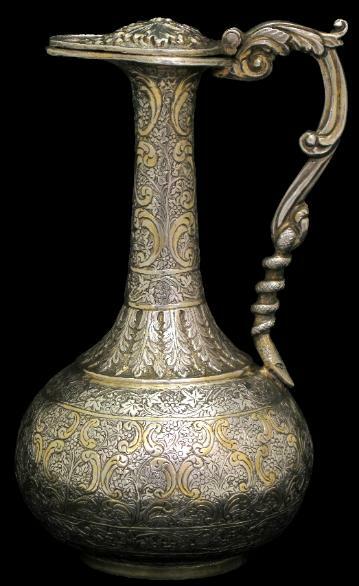 Parcel gilding is evident throughout, most particularly to the arabesque flourishes interspersed across the neck and body, to the lid and to the handle. 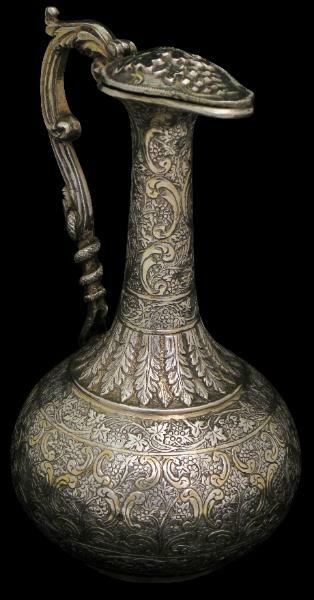 for a ewer and a cup that employ similar motifs, see Wilkinson, W.R.T., Indian SIlver 1858-1947, 1999, p. 133-4.